The septet of composers on the bill for Prom 19 was nothing if not multifarious: Honegger, Bridge, Berg, Castiglioni, and Debussy – an unlikely gang. Perhaps only at the Proms could such a programme be put together; and perhaps also only under the hand of Oliver Knussen. The gambit paid off handsomely: full of variety, the concert held one's attention from beginning to end. Arthur Honegger's Pacific 231, a musical evocation of a train, was written in the early 1920s, in the modernist atmosphere following Le Sacre and Pierrot and contemporary with Varèse's Amériques and Antheil's Ballet Mécanique. In seeking to portray the bustle of locomotive movement it shares with Russolo's Futurists a valorisation of the sternness of industrial technology. But Pacific 231 is more a pleasantly harmless locomotive vista than an adequate rendering of the violent garglings of furnace and valve. The BBC SO's manifold orchestral lines created a polyphony at times reminiscent of Bartok, Knussen marshalling the strands to bring the work to a stout climax. Alongside Milhaud and Poulenc among others, Honneger was labelled one of Les six, a group of young French composers championed by Jean Cocteau, but among whom the composers didn't always have that much in common. The second piece on the programme was Honegger's Pastorale d’été, a piece quite unlike his more quickening Pacific 231, and which is a lightweight, modal, melodic offering. It is a critical commonplace that the acoustic of the Albert Hall blurs orchestral distinctions. This commonplace was bucked by the BBC SO under Knussen's baton. Throughout the evening a bright contrast was maintained between the different parts of the orchestra, as powerfully effected in Frank Bridge's impressionistic There is a Willow Grows Aslant a Brook. Bridge's short work is scored for an orchestra of mostly winds and strings. In tone poem fashion it represents the insane Ophelia's terminal tumble into flower-strewn waters. The different solo and ensemble parts were clarion-clear here, as was the sequence of sections of the work's form; gradually building from a scene-depiction in low ominous discords to the appearance of Ophelia in a solo oboe to the fall into the river on clarinet. The whole was conveyed with pathos. Alban Berg's Der Wein for orchestra and soprano is a setting of three poems by Baudelaire in a translation by Stefan George. Not often heard in concert, this was a good opportunity to imbibe its brew, soloist Claire Booth singing a paean to the fruit of the vine with appropriately pallid sweetness. Taking a break from composing Lulu, Berg wrote Der Wein in early 1929. Similarities obtain in the characteristic soundworlds of both works, in both the serial language and the orchestration. Despite its unlikely position shoulder to shoulder with the Bridge and the subsequent Castiglioni, Der Wein drowned the hall in sultry phosphorescence. The music of Italian composer Niccolò Castiglioni (1936—96), not so well known in his lifetime, has seen something of a resurgence recently, partly due to championship by pianist Sarah Nicolls and by Knussen. That resurgence seemed entirely justified here: though written by the composer least listeners will have been familiar with before this concert, Castiglioni's music was the standout of the night. Inverno in-ver is a set of 11 short musical 'poems' for orchestra. In line with the evening's focus on tone poems, the piece is one depicting a landscape draped in snow, Castiglioni saying that, 'I was trying to depict in music ice, the sparkling of the frost and frozen water.' Rather than austere harshness this frozen landscape is one of playfully sparkling exuberance, depicted by bells, gong and xylophone, high wind instruments, and harmonic-laden strings. There is no mistaking this as modernist music: the discursive vocabulary is post-tonal, the form sui generis, and there is a pervading memory of Webern with side-glances to Kurtag and Donatoni. But as with the landscape depicted, the music is beautiful, and it was cheering to witness the audience rapt. This was evident from the third movement, 'Danza Invernale', onwards: a shrill and bouncy ff melody on clarinet burst into a joyously weird tutti chorale before abruptly finishing, leaving the sound of the audience giggling and muttering. 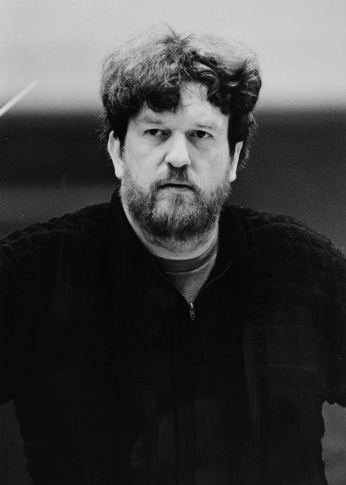 Credit goes to Knussen for adventurous and thoughtful programming. The evening's centrepiece was a Proms staple, Debussy's La mer. It was not as lush a La mer as most will have been used to. But from the competing motifs in the first movement, De l’aube à midi, standing out like silhouettes, to the work's climax in the dynamic third movement, Dialogue du vent et de la mer, the evening was finished with gusto.